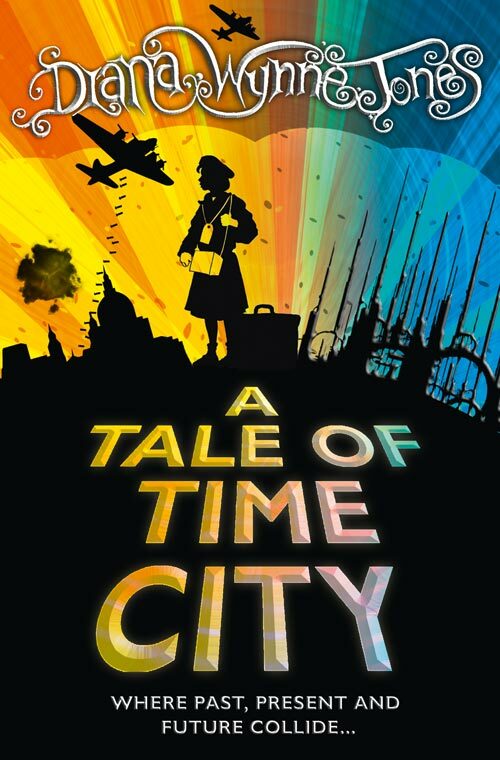 Welcome to the A Tale of Time City discussion! I hope that a few of you got a chance to read/reread this one because it's got a complex and exciting plot with a wide variety of characters and ideas. It was my second time reading the book and, as expected, I understood and enjoyed it more this time through. I want to make this more of an open discussion. So, tell me, did you enjoy this story? What did you think of the relationships between Jonathan, Sam and Vivian? Were you able to follow the Time City plot? Would you ever want to be a time observer? The first time I read the story, I felt a little bit lost by the end. I understood the basics but not necessarily the mechanics. This time, I had no problem following it and I appreciated the intricacies of the plot more since I wasn't struggling to keep up. I also was able to pay attention more to the details of the technology and environment that Diana created -- chairs and beds with no real surfaces, high tech belts and more -- and I really enjoyed it all. There were some things I liked less, though, and those were the instances of vengeance/punishment, or lack thereof. Anastasia recently mentioned in her post about The Game that she was annoyed that kids escape punishment a lot in DWJ's stories. I found that to be the case for one character in this story, Sam, but the opposite for another child, Vivian Lee. Sam was let off the hook with only a forced-feeding when he stole a large amount of money from a friend. He never even expressed remorse and by the end, he didn't seem to be affected by it at all, as he was already asking for more butter-pies. Vivian, on the other hand, was sent into history all alone because she was a "baddie", quite a terrible fate in the scheme of things to be a child, all alone in a strange place. Is there any action that a child of eleven/twelve can't be redeemed from? It seems harsh and unfair. But speaking of butter-pies, there's a butter-pie recipe out there that someone created. It seems extremely labor intensive and prone to melty accidents and I'm not entirely sure of how it would hold together. Still, the chance to taste a butter-pie might be worth it! Does anyone have the kitchen skills to make these (and can I come visit)? I was very tempted to read this one, but I've jumped around my DWJ reading schedule quite a bit already, so I decided to leave it and read it when I get to it myself. It is quite fascinating to be reading an author's book in the order they were published, as you a progression of their writing. I don't want to spoil that too much. I've also been side-tracked into rereading Alan Garner's The Owl Service and I want to savour that right now. "It is quite fascinating to be reading an author's books in the order they were published, as you get a sense of the progression of their writing." I don't know what I did with all those missing words. Sorry. 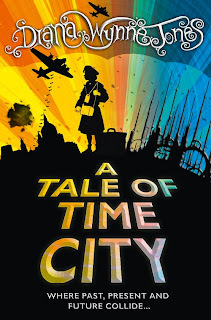 This was my first time reading A Tale of Time City. 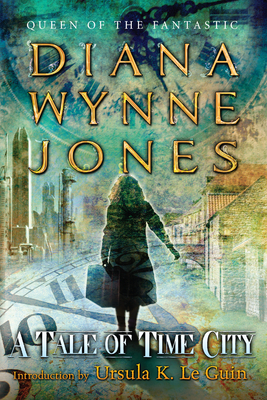 I enjoyed reading it, although I tend to prefer DWJs fantasy books to her sci-fi. I definitely feel that I need to go back and read it again in order to appreciate it properly. I think I especially missed being able to properly visualise the world because I chose to keep the plot in my brain rather than pondering too much over the details (if that makes any sense). I think I struggled a bit because I didn't find Sam or Jonathan particularly likeable or compelling. I think the issue of Sam escaping punishment is an interesting one, though. I felt that it was a great way to deal with justice being served. Vivian, who after all was the one the crime was perpetrated against, delivered the punishment herself and she felt very satisfied that he got what he deserved and was happy to leave it at that. I particularly liked that the kids dealt with it themselves and didn't feel the need to involve the adult world. The punishment of the other Vivian didn't bother me when I was reading. She was a vile little thing! But now that you've pointed it out, I agree that just throwing her out into history seems a harsh and irresponsible way for the adults in that world to deal with the situation. Although, it seems to be the accepted way of doing things in their society. Jonathan was certainly very afraid of receiving a similar fate for even more minor infractions. Yes, a reread was definitely necessary to really appreciate this one. And Howl and the Keeper of the Silver Casket? Interesting! I'll have to think about that a bit. I'm with you though on totally not seeing the Mr. Lynn/Goon connection. I have not yet finished reading this one. It's going a little slower than expected, but I am definitely enjoying it so far. I will keep you posted when I finish (hopefully, later this week).